The following notes and picture above come from the Norfolk Heritage websites where you can find historic notes, aerial photography coverage and map coverage of the villages in quite good detail. See here also for more information about the River Waveney reaching the village and road names that have Viking connections here and here. 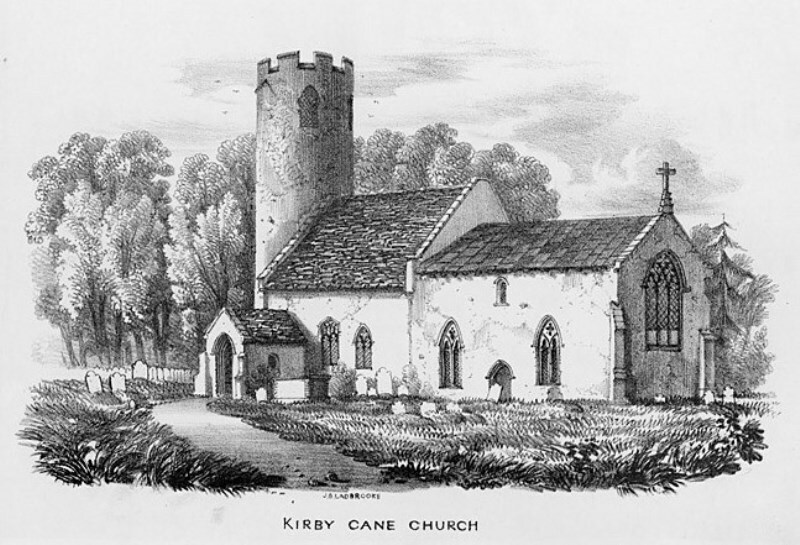 "Kirby Cane is a small parish in the South Norfolk district. It is located between Stockton and Geldeston to the west and Ellingham to the east. The modern village has now grown and almost joins Ellingham. The village name has an interesting derivation. Kirby comes from Old Norse and means ‘land with a church’. The suffix Cane probably relates to the lord of the manor. This may be Walter de Cadamo who is recorded as owning land in 1205 or Maria de Cham who owned the manor in 1245. The surname Cham is French and is probably based on the town name of Caen. Land in the village is recorded in the Domesday Book when the Abbots of St Edmund held part of it. A church and mill are recorded." I was interested to read the suggested origin of the name Kirby Cane. I lived in Denmark for 26 years and speak the language fluently which has helped me draw my own conclusion. The "by" ending is a dead give-away for a Viking origin. It means town, see our east coast which has oodles of towns with names ending in By -- ie. Whitby, certainly an area with Danish "invader" background. Back to Kirby. I would suggest that this was probably Kirkeby (older spelling quite likely) and that translates directly to Church town. There is another village close by with obvious (Danish) Scandinavian roots, Toft Monks -- The Monks orchard --- Barnby -- Childs town, I wonder why?